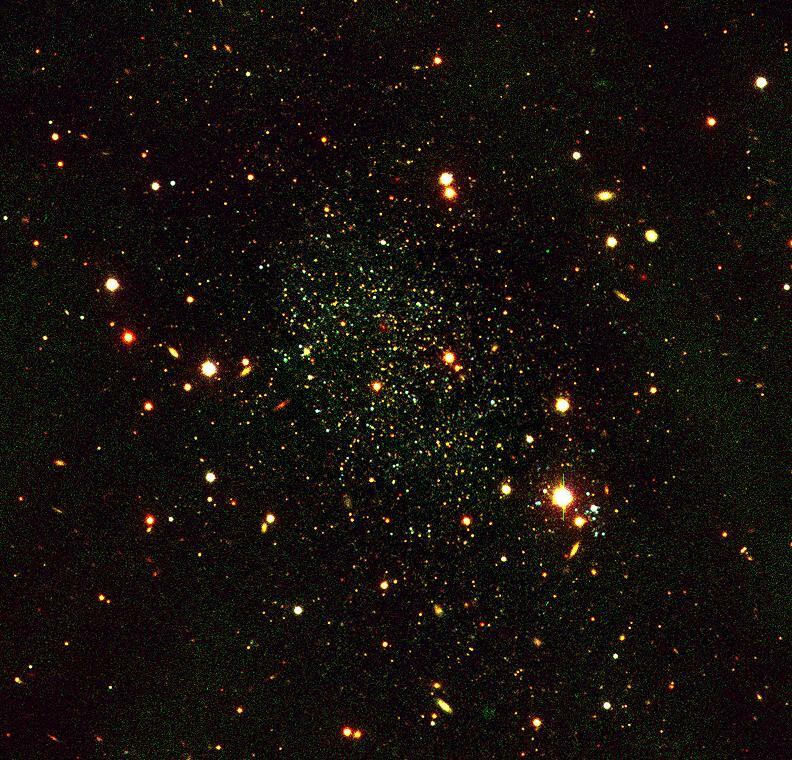 Antlia is a small low surface brightness dwarf spheroidal type galaxy whichwas discovered in 1997 to be an outlying member of the Local Group. Aspart of the FORS Science Verification program deep B, V and I images inexcellent seeing condisitons were made of the galaxy which resolve theindividual stars. Existence of published data indicating a distance close enough to be able to detect resolved stars well down the Red Giant Branch. Some controversy about the existence and importance of a young stellar population and reddening in Antlia. Previous work on this galaxy comes from the discovery paper of Whiting,Irwin & Hau 1997, AJ, 114, 996 based on data taken with the CTIO~1.5mtelescope and deeper imaging from the CTIO~4m (by Sarajedini, Claver &Ostheimer 1997, AJ, 114, 2505) and the Las Campanas Dupont 2.5m telescope(by Aparicio et al. 1997, AJ, 114, 1447). This galaxy was first noted inan HI survey of southern hemisphere galaxies by Fouque et al. 1990, A&AS,86, 473.